Three years after the defeat of Apocalymon, dark powers begin to rise again in the DigiWorld. The 'Digimon Emperor,' a human boy, is on a campaign to enslave all Digimon and a new team of warriors must come together to restore peace. 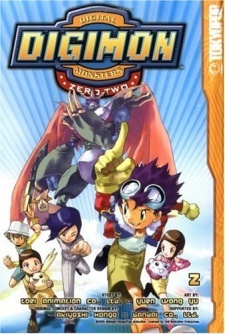 Digimon Zero Two was published in English by Tokyopop from August 28, 2003 to April 3, 2004.